A unique new study published Monday in the scientific journal Nature has used molecular profiles to reveal major differences in composition between a GMO corn and its non-GMO parent. These findings question industry and regulatory position of “substantial equivalence” and have serious safety implications. 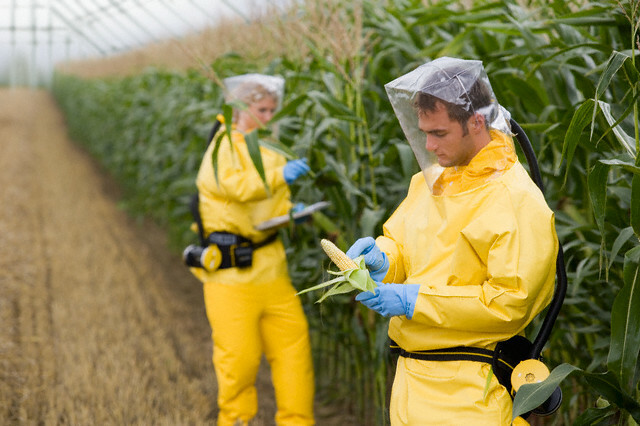 The new peer-reviewed study led by Dr Michael Antoniou at King’s College London describes the effects of the process of genetic engineering on the composition of a genetically modified Roundup-resistant GMO corn variety, NK603. “Our study clearly shows that the GM transformation process results in profound compositional differences in NK603, demonstrating that this GMO corn is not substantially equivalent to its non-GMO counterpart. The marked increase in putrescine and especially cadaverine is a concern since these substances are potentially toxic, being reported as enhancers of the effects of histamine, thus heightening allergic reactions, and both have been implicated in the formation of carcinogenic nitrosamines with nitrite in meat products. Our results call for a more thorough evaluation of the safety of NK603 corn consumption on a long-term basis.” Dr. Antoniou stated. No Comments to "New Study Shows Major Molecular Differences between GMO and Non-GMO Corn"